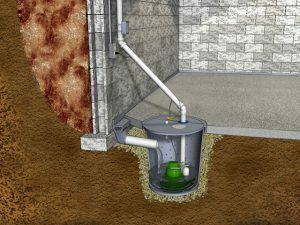 Sump pumps are one of the best ways to keep your home safe from excess rainwater and leaks in the basement. Over time, runoff and water in the soil can push against your basements wall and cause leaks. Basements also have to handle a lot of dampness from moist air, laundry machines, and water heaters. If you keep your water heater or other appliances in the basement, your sump pump has probably stopped catastrophic water damage a time or two. But even the best sump pumps wear out over time. If you notice that your sump pump is performing less effectively than it used to, consider contacting Metro Plumbing for sump pump replacement before it fails completely. Learn more about the signs your sump pump may be near the end of its lifespan and how to keep your basement safe from water damage. Call Metro Plumbing today at 651-766-8686 for an estimate on your sump pump replacement. Why Should You Consider Sump Pump Replacement? A temperamental pump might be able to get you through a season or two, but not if that season is spring. As the temperature increases and the weather turns stormy, your sump pump will have to handle a lot of water. The spring months bring the heaviest levels of rain and runoff onto your property because snow is melting, rainstorms are far more common, and the ground is starting to thaw. Don’t wait for your pump to fail completely. A flooded basement is expensive and messy. Spring is also the busiest season for sump pump repairs. If you think your sump pump might not last much longer, schedule an inspection as soon as possible to beat the rush. Contact Metro Plumbing today for all your sump pump replacement needs. Fortunately, most sump pumps don’t spontaneously fail. Instead, they give you small hints that something is wrong. Here are five common signs that something is wrong with your sump pump. The pump fails to activate. Every sump pit has a certain water threshold. Once the water rises higher than that level, the pump should automatically turn on. If you have to manually start the pump or the water level in the pit is dangerously high, something is wrong. Call in a technician who can check for clogs, a failed motor, and other broken parts in the pump system. You’ve had it in your basement for over ten years. Sump pumps last for approximately ten years. Good maintenance and infrequent use can make them last a bit longer, but most basements need a new sump pump once a decade. If your sump pump is struggling or you’ve had to make expensive repairs in the past year, replace it. You see dirt or debris in the sump pit. The water in the sump pit should be relatively clear. Dirt and grit can jam the mechanical components and interfere with the switches. Sometimes the dirt can cause a complete clog that increases your risk of a flooded basement and ruined sump pump. Just like an air conditioning system, sump pumps aren’t supposed to be constantly cycling. If your sump pump seems like it’s always pumping out water but there hasn’t been enough rain to justify it, call a technician. Water might be returning to the sump put instead of draining away from your home. The cause could also be stuck switches or a pump that’s just not a good fit for your property’s water table and existing plumbing. The pump has started making noise. Also just like your air conditioning system, loud noises are a sign that something is going wrong. Listen for snaps and grinding noises that indicate a problem with the motor and pump. If you hear water noises, especially gurgling, then your pump is failing to efficiently remove the water in your basement. Should You Repair or Replace Your Current Sump Pump? Once you’ve called in a sump pump technician and they troubleshoot the problems, you’re often going to be faced with a tough choice: do you repair it, or do you replace the whole sump pump? Your current sump pump has reached its expected lifespan. The total cost of repairs is greater than half or two-thirds the cost of a new unit. Your current sump pump is not a good fit for your home. Sometimes, the house’s previous owners may have been persuaded to purchase the wrong pump. It’s important to correct that as soon as possible. A basic cast iron pump can be installed for $580. If you need a new sump pump but you want to keep a frugal budget in mind, shop around for a company that won’t force you to spend extra money. A cast iron sump pump without any extra features can protect your basement for under $600. Stainless steel sump pumps are built to last. Cast iron pumps don’t warp and block pump switches the way plastic sump pumps can. Stainless steel pumps are even more durable. They’re resistant to corrosion and can better dissipate heat. 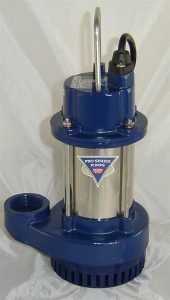 Many sump pump models come in a combination of stainless steel and cast iron, too. Get a battery for backup power if your region’s storms cause outages. Power outages and heavy rains go hand in hand. But your basement’s sump pump can’t remove water if it doesn’t have electricity. A backup battery is a perfect solution if your home frequently experiences outages. They can also be added later if you need a budget-friendly solution now. Connectivity to wi-fi for remote access. Primary and secondary pumps to prevent floods. Alarms that warn you when parts of the sump pump are failing. Metro Heating and Cooling can help you every step of the way. Schedule an inspection with one of our trained repair technicians if you think your sump pump is failing or if it needs a tune-up. We can also help recommend the right sump pump for your basement and install it before the next storm. Call Metro Plumbing today at 651-766-8686.